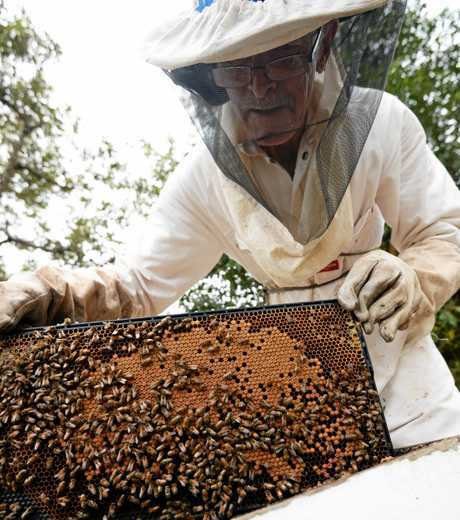 BYFIELD beekeeper Eddie McKee's love affair with the insect started when he was in his teens. His brother swapped a horse for some beehives. Taken by the idea, he and Mary, now his wife, bought his brother out some years later and went from there. After focusing on children and their careers, the couple put the bees to the background until 1982 when they started their own honey business, CQ Honey. The business went full-time in 1992, selling their honey wholesale through bulk orders to stores in Rockhampton and the Capricorn Coast, plus retail customers. In 1991 they made the move to their Woodbury Rd home. But not all their bees live there. The couple are "migratory beekeepers”. Talking to The Morning Bulletin for its Home Grown series, the McKee's lifted the lid on life behind the beekeepers' gate, which also has a bee mailbox. The McKee's explained migratory bee-keeping meant they picked their beehives up and moved them where the flowers were. They have various locations throughout the region where they keep their bees, including as far west as Duaringa. "We have been pretty lucky - usually if you ask somebody, a lot of people say yes ... we just say there are plenty of flowers here ... do you mind if we bring some beehives here,” Mrs McKee said. "Most of the people are happy for you to put them there ... some people say no because they are allergic. The ideal location for bees is a sizeable fair area so they are not a nuisance to the property owners and don't come too close to a home. They also need to be close to water. Bees would fly to water a small distance anyway but the closer the better, Mr McKee said. They also don't need to be under trees or in shade, but it does help if the ground is level for the boom on the truck when lifting the honey out. The couple have about 350 beehives. "They do change ... you have queens or they swarm,” Mr McKee said. He said bees would swarm because of overpopulation and lack of room in a hive filled with honey. "They start building a queen cell and just before the queen is ready to hatch, the old queen will leave the hive with a heap of bees ... that is the swarm,” he said. The number of bees in the swarm was never "exact”, it could be as much as three-quarters of a hive or as little as a quarter, he said. "Before they go they fill up on honey ... they don't know how long it will be before they find a suitable place,” Mr McKee said. If there was wet weather, they might hang in the branch and could be salvaged back, he said. An important part of selling the honey is ensuring there is enough all year round. The McKees have found winter is the busiest time of the year for honey. "Everyone has it on crumpets, toast, porridge ... everyone wants honey on their warm foods,” Mrs McKee said. The bees can work on their own schedule as well. "While one thing is finishing flowers, you might have a bit of a gap before something else starts,” Mr McKee said. They try to get around to all of their hives at least once a month. 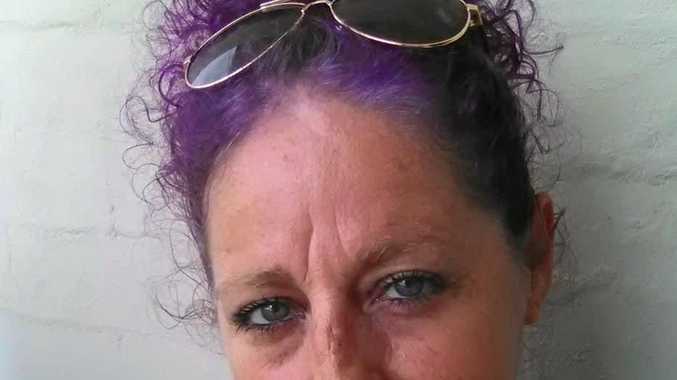 "You have to check on them ... you can't just sit them down here and leave them,” Mrs McKee said. How much honey is produced depends on the season. "If they are on a honey flow, which is when there is a lot of honey coming in, they can fill it (the hive) up in two weeks,” Mr McKee said. 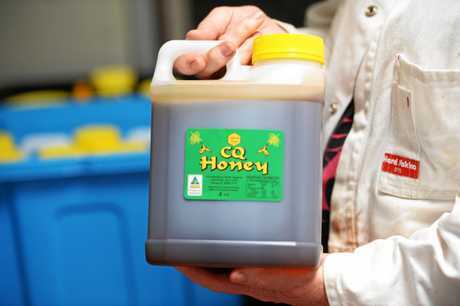 CQ Honey is labelled as "rural bush honey”. The bees mostly hang around blue gum trees and some lychee and mango trees. "We can't say, 'Okay you bees, this is where you are going today,'” Mrs McKee said. They also produce some paperbark tea tree (melaleuca) honey. Mrs McKee said it was a really good honey for healing. Their daughter uses it on horses wounds from fences. Asked what was the perfect honey, the couple said it was a matter of personal preference. The biggest misconception is that honey needs to be a lighter colour. Most people think this because that is the colour of honey in the supermarket, as it is mixed with other honey. "The darker honey ... still has nice flavours,” Mr McKee said. But the bees know what they are doing. They know exactly when to "cap” the hive - no matter how dark or light the honey. "Nature is smart,” Mrs McKee said. And a bee fact for the day to end the story - the average bee has a lifespan of 40 days. Four bees were accidentally killed in the making of this story. One that bit the journalist on the forehead. Bully photographer Allan Reinikka was also bitten on the eyelid, finger and back of the neck.